MJ came into our care on 24 April, 2018. She was completely paralysed. We are giving her a chance at life. She has had xrays done which showed a compression on her spine. We are taking her to the chiropractor for treatment. She is now holding up her head, eating well and taking her bottles. She is a real sweetheart, but strong and wild. She is quite strong on her right side, the left side seems to be where the paralysis is, but we are seeing daily improvements. I have been using hemp oil to massage MJ's body. I am doing this twice a day. She loves it and it really relaxes her. Hemp oil is made from pressed hemp seed and makes a wonderful massage oil. This environmentally friendly oil is jam-packed with essential fatty acids (good fats! ), anti-inflammatory gamma linoleic acid (GLA) as well as a bevy of nutrients like calcium, potassium and a veritable alphabet of vitamins. Communication is a crucial oil massage technique. Before you begin, find out where your joey is feeling discomfort or tension and make sure you are aware if they indicate anything that feels uncomfortable. Circular motions are some of the easiest and most relaxing massage techniques to perform. Make small circular movement using your fingertips. Massaging bone can be very uncomfortable and unpleasant, so it's important to avoid applying more than very light pressure to areas like the shoulder blades, spine and tailbone. Focus on soft, muscular areas like the sides of the neck, the inside of the shoulder blades and the areas just to the left and right of the spine. Rosie and Abbey were welcomed in August 2017. They weighed 1.2 and 1.4kg. Such tiny babies. They are now a healthy 6+ kgs and ready to go to soft release at Dreamers Dream. 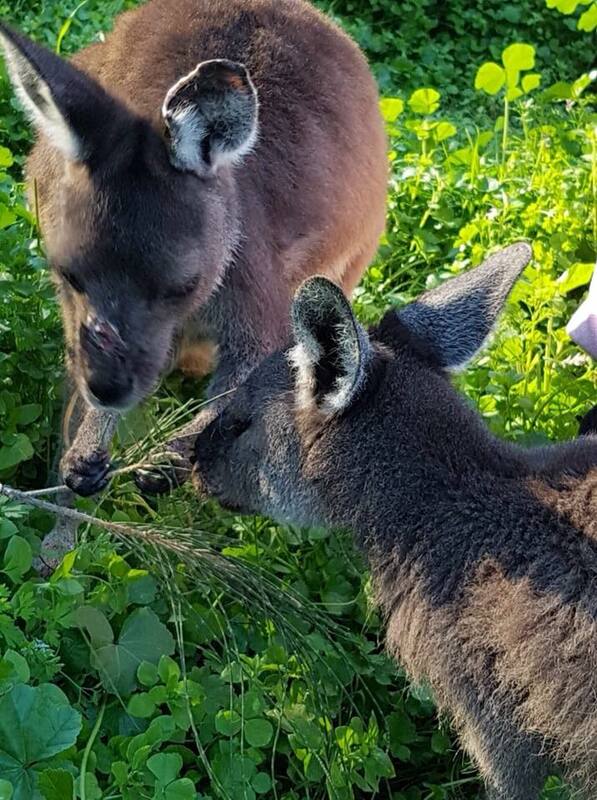 There they will live with our Sammie Jo, KRoo, JoJo and a host of other Western Grey kangaroos. They will be able to run free and wild. Here are some photos of their journey in our lives. I am still running free at Dreamers Dream in Mount Barker. I have the best of both worlds, being able to stay out in the wild or come home for some TLC and extra food if I want to. I have a big family, with more brothers and sisters being added. At HideAway Haven my Mummies have been looking after other babies, taking care and raising them until they are old enough to come and live with me. The last couple of months they have looked after Jaxz, Bella, Roobee and Ellie and yesterday they welcomed JoJo (2.7kg) and KRoo (3.3kg) after they became orphans. 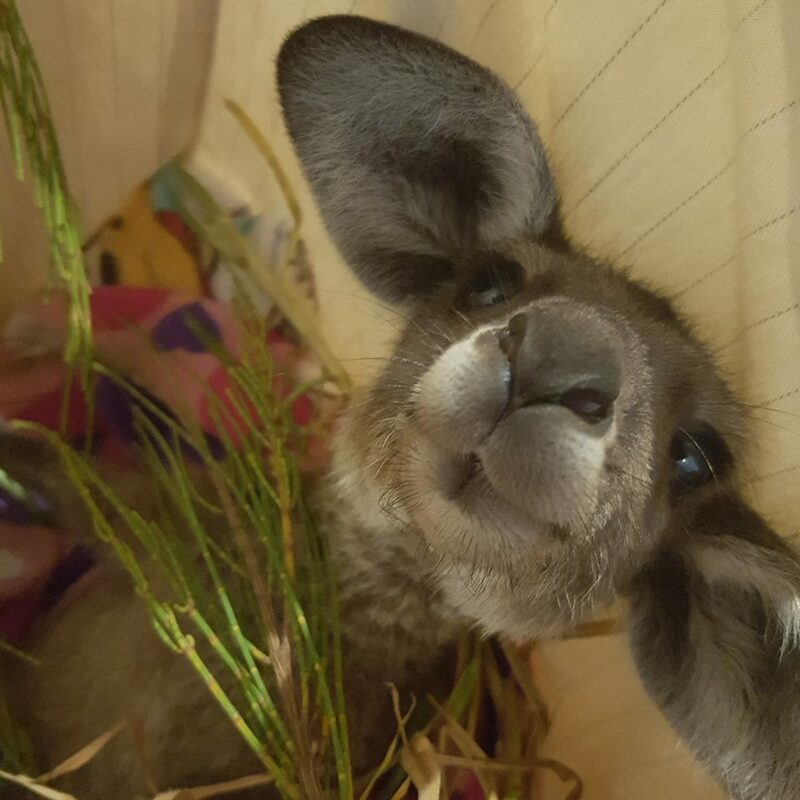 It is important to provide orphaned joeys with the best care possible in the first 24 hours that they are in care, as this is the most critical time in their rehabilitation. 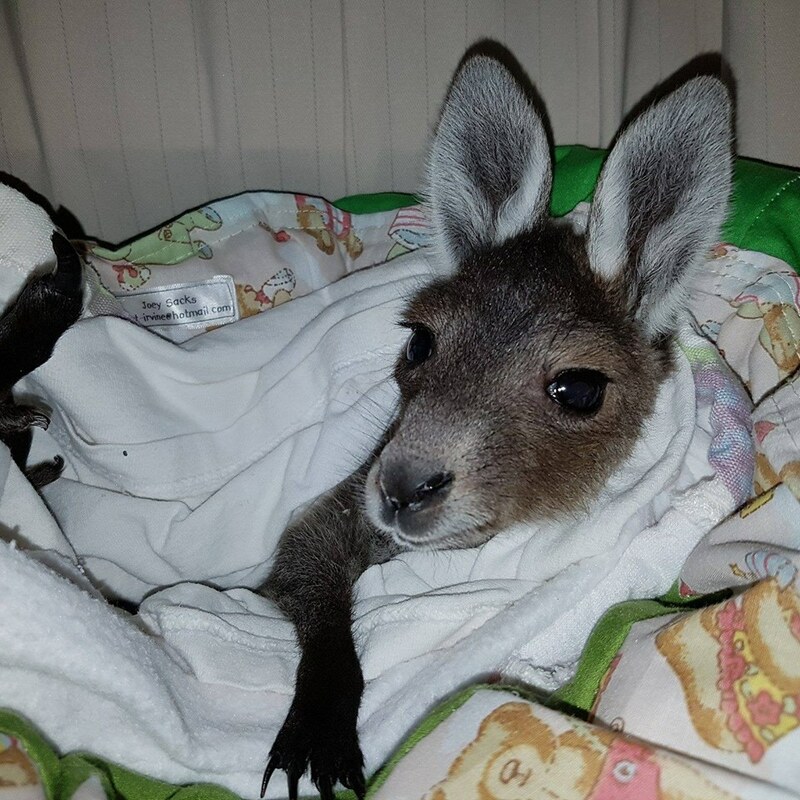 The initial emergency care that the joey receives will have a huge impact not only on the joey's survival but also on its chances for release. My Mummies know how to do that and my Auntie Pauline is always on hand to give advice and support. She has been doing it for so many years. Wildlife carers make a huge commitment, financially, emotionally and in time and resources. 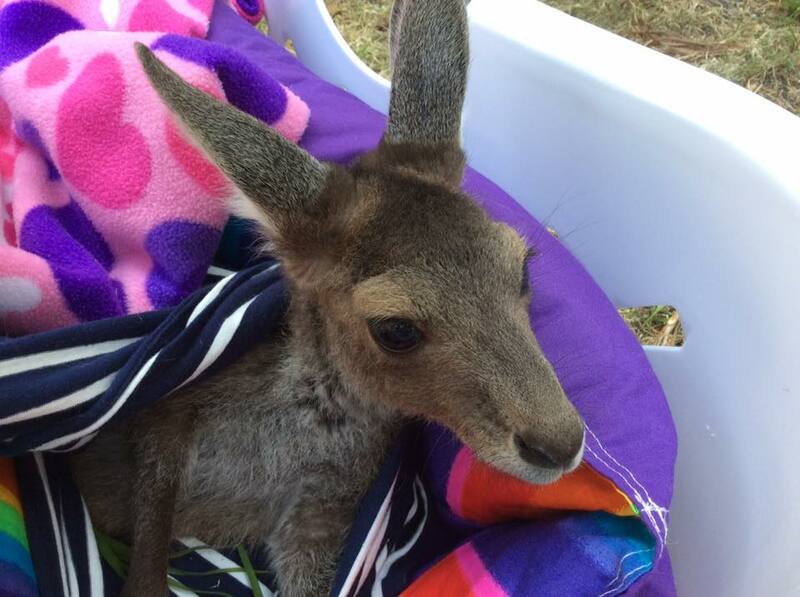 For the welfare of the joey, they ensure that they are well prepared for the commitment. 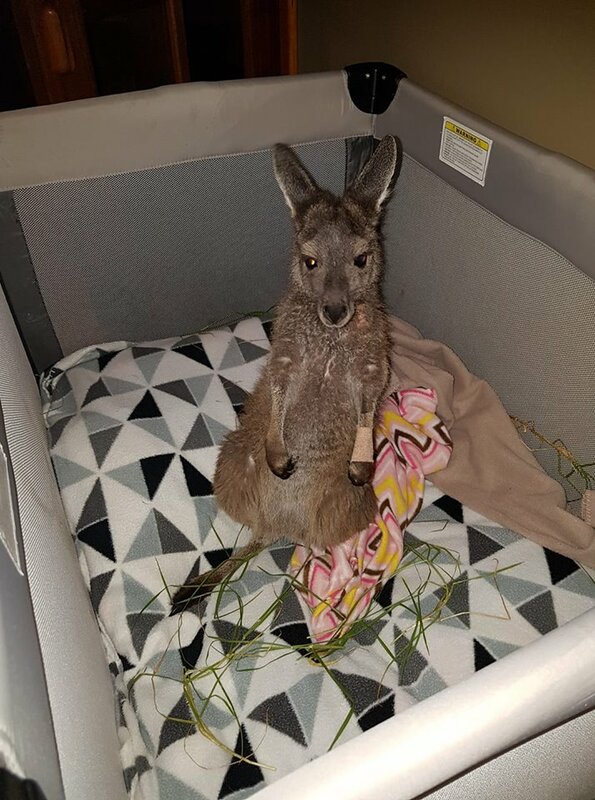 Wildlife carers need to raise joeys properly to ensure their survival, not just throughout care, but also after release. 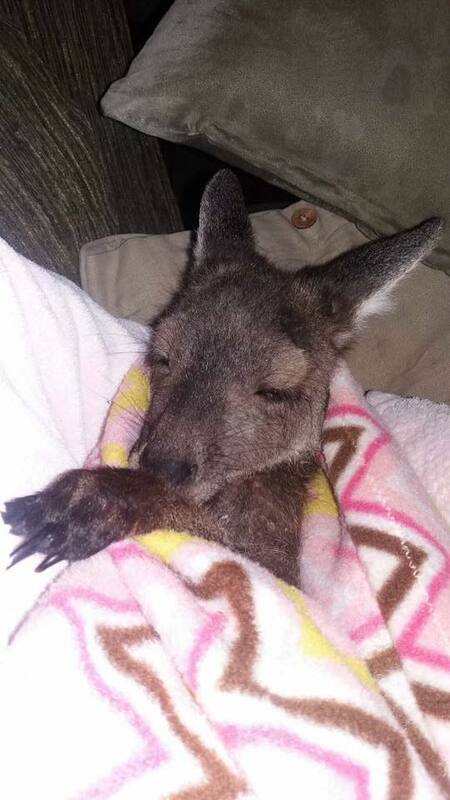 They know that raising a joey as a pet is not acceptable; they are entitled to their true life. They are the keepers and carers for a short period of our lives, usually due to human caused intervention with their mothers, by car, dog, shooting or habitat loss. They do everything in their power to give us the best possible chance and duplicate the life we would have had with our natural mother to the best of their abilities. 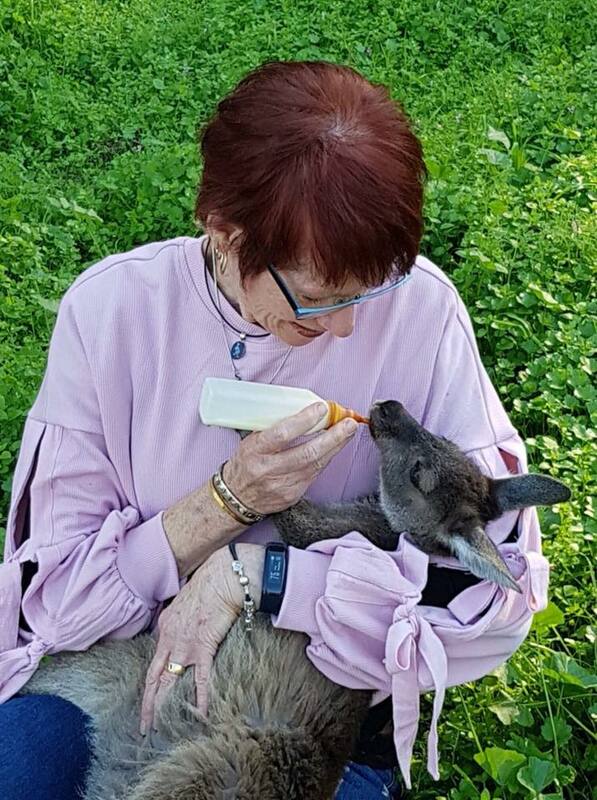 The decision to hand raise a joey is only be taken if there is a reasonable chance of success and if there is a place for the animal to go when it is time for release. All of my Mummies joeys go to live with Uncle Kev and Auntie Pauline at Dreamers Dream in Mount Barker. Had a visit from both my Mummies. It was so good to see them. 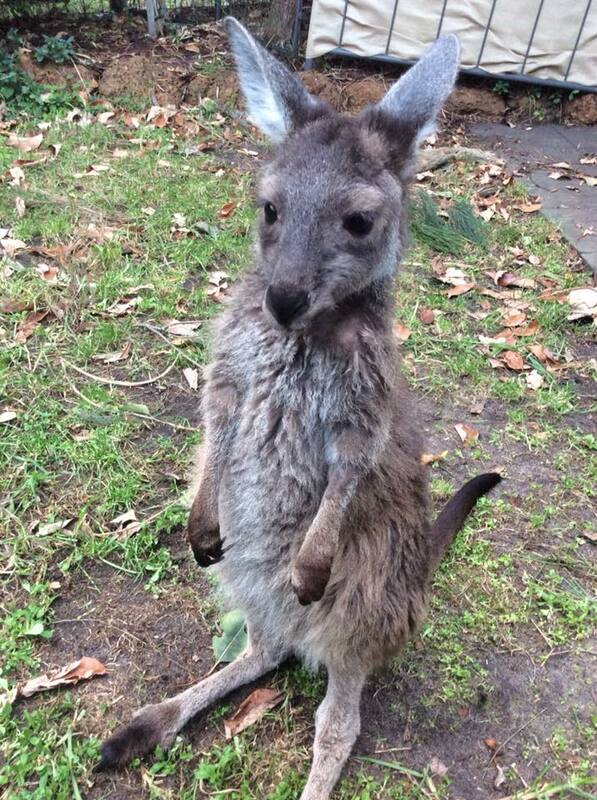 I came out of my enclosure and showed Mummy how well I was doing my kangaroo hopping now. She was so very proud of me. I got an extra bottle, some strawberries and my favourite woolly bush. Mummy always brings extras so I can share with my new sisters and Rocket and Straya. I got to say goodbye to Phoebe (my ring tail possum sister) as she is going back to be released at HideAway Haven. I am getting stronger and come out of my enclosure every day for exercise. Auntie Pauline really looks after me making sure I don't get over excited and hurt myself again. I like spending time with Rocket, he is going to protect me when he gets bigger. He is such a gentle little man. 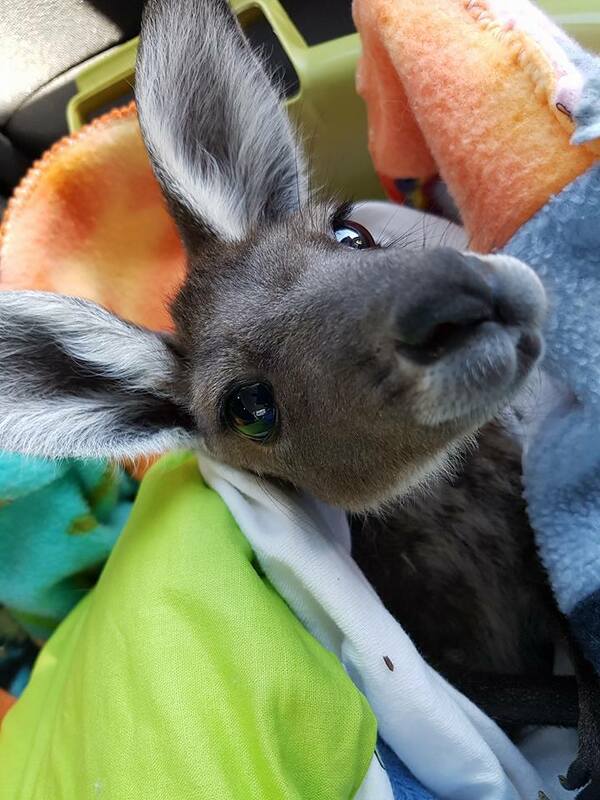 One of my sisters KayDee has a joey in her pouch. She is coming out of the pouch sometimes and is so cute. The joey really looks much too big to still be in the pouch. Not sure how KayDee gets around and still manages to jump over fences. Mummy and Joslyn came to visit me. My new role at Dreamers Dream is to be a Mummy to the babies. Holly takes it a little too far though by wanting to get into my pouch. Foster and Rocket are fun to be around. I just love watching them play. The other day it was raining and the ground was muddy, what fun. I got out of my enclosure and raced around throwing mud up at Auntie Pauline then Rocket joined me and we had fun playing with the white washing on the washing line. It wasn't white anymore when we were finished playing. Because only the little ones were in the enclosure when Mummy was here I cuddled up on her lap for big cuddles while she fed me Woolly Bush and Blackberries. It reminded me of home. I am still very lethargic and not real keen on long runs, because I get tired. But I am not in any pain and am alive and now I have a role to play in the lives of other joey's who have lost their Mummy. I know Mummy really misses me and I love it when she comes to visit. Yay summer is here, no more muddy feet and tail for me. I have been staying away again, this wild thing keeps calling me. I think I heard Mummy calling me yesterday afternoon, but I was too tired to get up as I had been up for the last 2 nights. I came home this morning and woke everyone up at 5am by bouncing on the deck. The noise carries all the way around the house. I was rewarded with 2 bottles of milk and I looked after Josie for a couple of hours so Mummy could do some gardening. Mummy was sitting out the back with Josie and me at about 7:15 and she heard footsteps on the deck outside the front door. She went to check it out and there was a huge male kangaroo standing there. I did tell him that if wanted to date me, he needed to ask Mummy first if it was OK. So proud of him that he came to the front door. He saw Mummy and took off down the driveway, slipping and then falling on the loose gravel. That was not the plan. He raced down the hill and flew over the fence and Joslyn saw him take off into the distance. Auntie Pauline did try to warn Mummy that a male kangaroo would find me and he has. Stay tuned for more adventures.